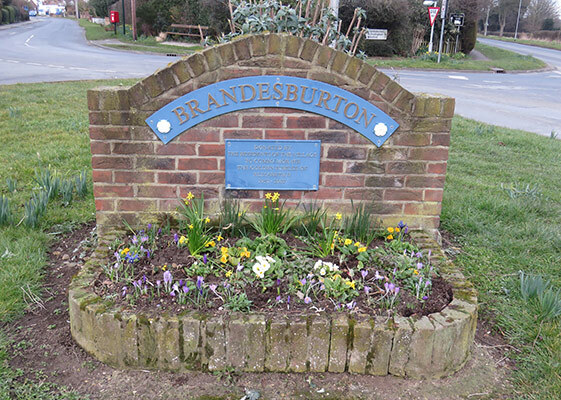 Welcome to Brandesburton Parish Council website. The site is in its infancy but we hope that it will gradually grow and be another useful source of information both for the villagers and visitors – whether virtual or real. Brandesburton is a village in the East Riding of Yorkshire, England. It is situated approximately 7 miles (11 km) west of the seaside town of Hornsea and 9 miles (14 km) north-east of the market town of Beverley. The civil parish is formed by the village of Brandesburton and the hamlets of Burshill and Hempholme. The parish lies in flat agricultural countryside with easy access to the Yorkshire Wolds, the North Yorkshire Moors, the coastal towns of Bridlington, Scarborough and Whitby, and the historic town of Beverley. According to the 2011 UK Census, Brandesburton parish had a population of 1,522. Brandesburton is a lively village and its many amenities include two churches, two pubs, two restaurants, a fish and chip shop, a Post Office/shop, a convenience shop and a hotel/restaurant. In addition, there are dozens of small businesses in the area, most of which advertise in the ‘Brandesburton Buzz', our quarterly magazine. On this site you’ll find more information about the village as it is now and something about its history.